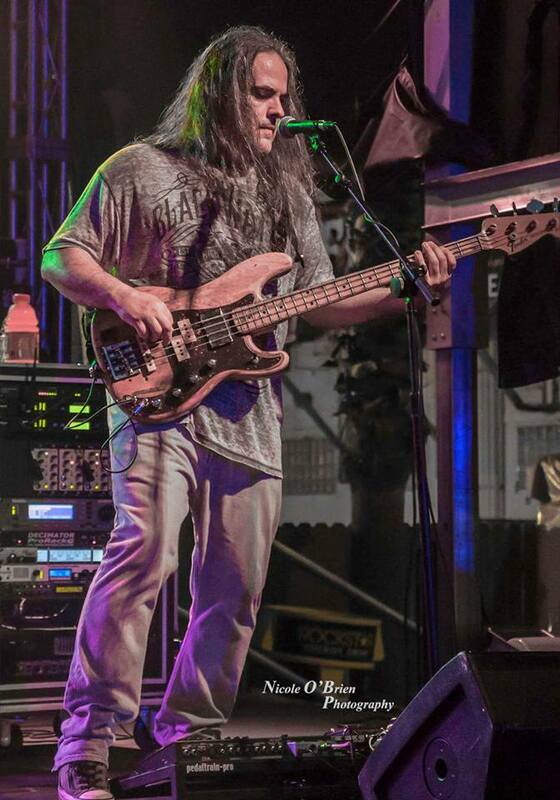 "Mike Amico" performing live with his Suncoast 500 Series Preamp Six-Pack Rack. Check out Dream Theater's release "The Astonishing" which utilizes the Suncoast B1p and B501 Bass Preamp as part of John Myung's complex signal chain. 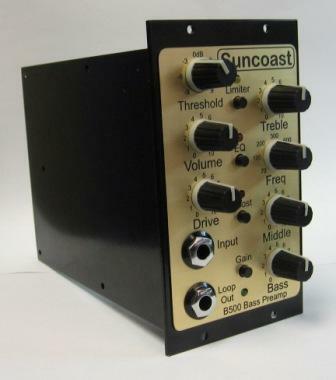 The Ultimate Solid-State Bass Preamp in a 500 Series Studio Module. Preamp Bypass and Boost Mode footswitchable, Compatible with Radial Omniport and Workhorse standards. 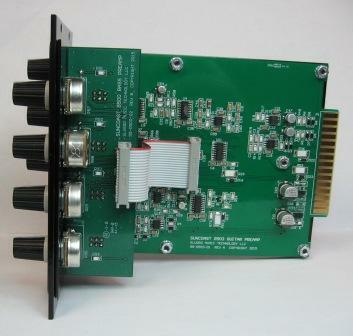 Active +/-15dB Bass, Midrange and Treble EQ with variable Midrange Frequency control. 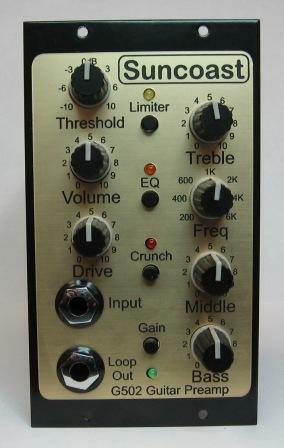 Built in Limiter/Compressor with variable Threshold control to tame your funk'n thumb. 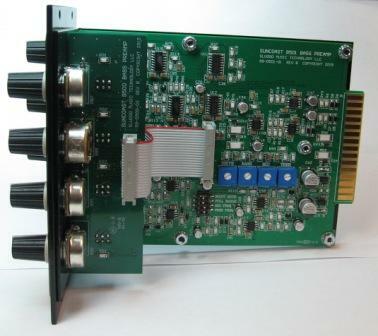 Bipolar DC power supply for +/-15V internal operation, 26V Peak to Peak Dynamic Headroom. The Ultimate Solid-State Dual Bass Preamp in a 500 Series Studio Module. 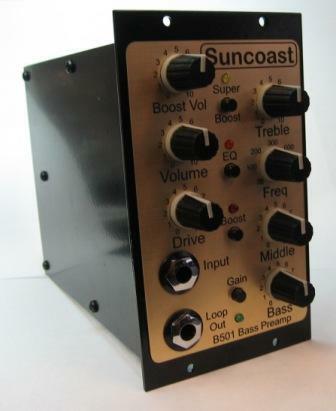 The Boost Preamp features "Super Boost™ " Overdrive Technology for Monstrous, Harmonic Heavy, Bass solo's. Internal Boost Preamp Trim pots for Drive, Bass, Midrange and Treble EQ. 4-Position Dip Switch for Boost mode, Full Range, Mid and Treble Frequency Shift. 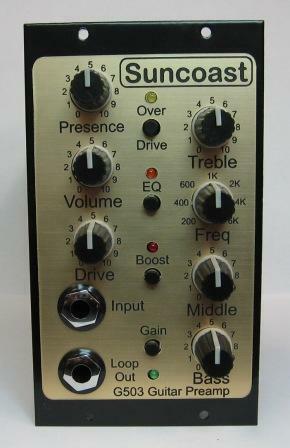 EQ Mode Switch for selecting either Normal or Lead Bass Tone curves. Preamp Bypass and Super Boost™ Mode footswitchable, Compatible with Radial Omniport and Workhorse standards. The Ultimate Solid-State Rhythm Guitar Preamp in a 500 Series Studio Module. Input Gain Switch adds +10dB for low output pickups. Crunch Mode Switch (Gain & Treble Boost). 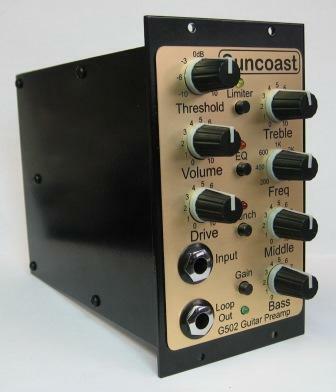 Preamp Bypass and Crunch Mode footswitchable, Compatible with Radial Omniport and Workhorse standards. 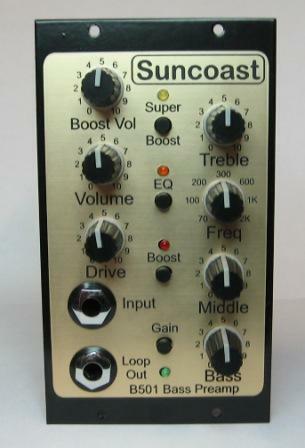 Built in Limiter/Compressor with variable Threshold control for tight, snappy rhythm's. 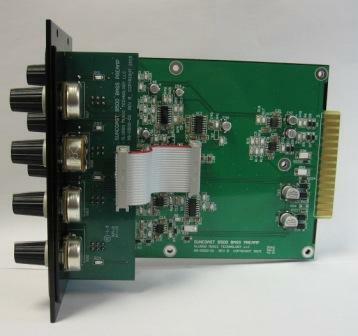 The Ultimate Solid-State Lead Guitar Preamp in a 500 Series Studio Module. Input Gain Switch adds +10dB for low output pickups. Boost Mode Switch (Gain & Treble Boost). 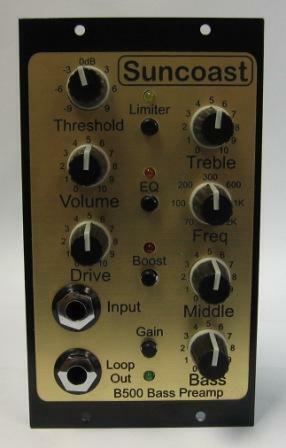 EQ Mode Switch shifts Bass & Treble frequencies for 2 distinct Lead Tone curves. 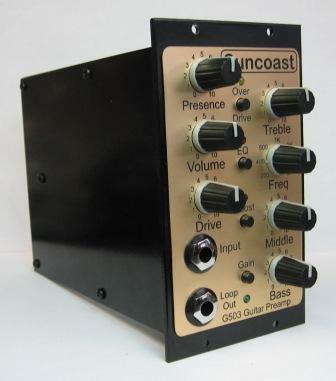 Preamp Bypass and Overdrive Mode footswitchable, Compatible with Radial Omniport and Workhorse standards. 4 Band Active +/-15dB Bass, Midrange, Treble and Presence EQ with variable Midrange Frequency control. Radial®, Workhorse™, Omniport™ trade names are the sole property of Radial Engineering Ltd.